The CSG reserves the right to censor any offensive comments or suggestions known to be harmful; they will not be posted. Please keep in mind general rules of social media interaction. ​This CSG publication launched in November 2016, is a collection of handy hints collated from those published in Newsletters of the Ceramic Study Group over the past 50 years. • The hints in this book represent the collected wisdom of practicing potters who have shared their knowledge and experience through the CSG newsletter. • As well as providing the reader with useful and practical information, the content of this book provides a historical record of pottery making techniques. 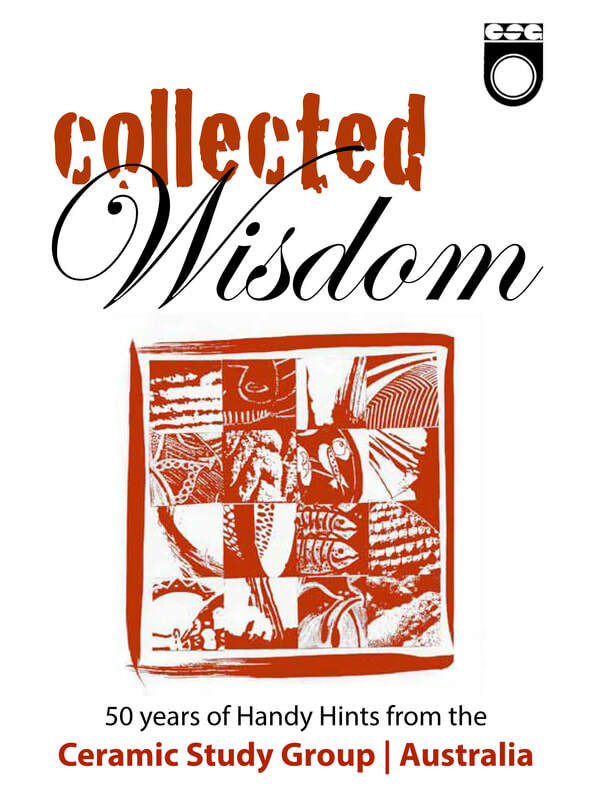 To purchase your copy of "Collected Wisdom", see the front desk at the Monthly Workshop at Balcombe Heights Estate. They are available for $25.